Trans-o-flex Express has introduced its new “Private Delivery” service. “This B2C product will make it possible for us to optimally meet the growing demand for residential deliveries.” commented Wolfgang P. Albeck, Chief Executive Officer of trans-o-flex. It should also be possible to combine active temperature control or express services with home deliveries, thus, for example, ensuring maximum patient safety with respect to sensitive pharmaceuticals. 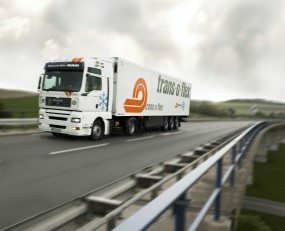 With the new “Private Delivery” service, trans-o-flex wants to take the special conditions of such deliveries into account: that there are no fixed opening hours during which deliveries can be made, that private recipients are often not at home when their shipments arrive, that fewer packages are delivered per address or that the journeys are often longer. In order to avoid the possibility that the drivers marks addresses as private addresses without justification, they were given specific training from May 2018 onwards.